Just about any apartment-dwelling urbanite can tell you that radiators are a bit of a necessary evil in the world of city living. 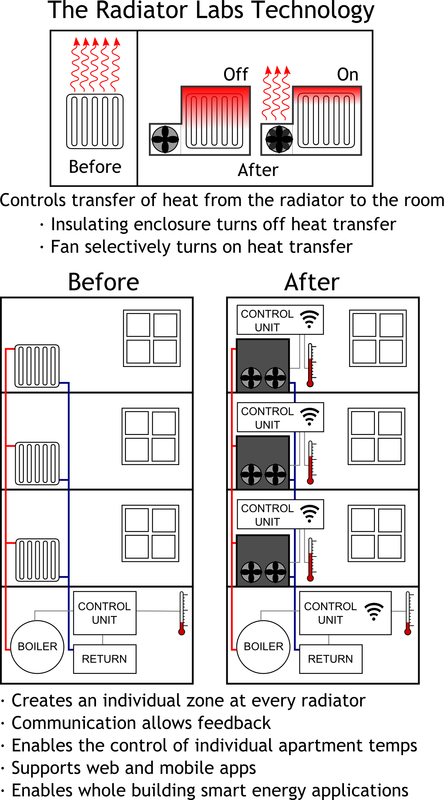 What if there was a way to control the heat to individual rental units, without relying entirely on a landlord's temperature-controlling omnipotence? The Radiator Labs team has developed a device to help realize this dream. It's essentially a housing that sits on top of an individual radiator unit, controlling heat transfer to a room. Turn it off, and the insulation hampers the heat from making a room too hot. Turn it on, and the ducted fan spreads the heat out to the room. Radiator Labs has a bit more info on its page, which you can check out in the source link below. You can also view graphical breakdown of the technology after the break.